The Plant Guru provides transparency when it comes to proof of quality assurance. The company purchases its essential oils from suppliers that meet USDA standards. Essential Oils come from companies based all over the world. On its website: www.theplantguru.com, you will find each essential oil’s certification form and GC/MS test results provided by Phytochemia. GC/MS testing, as described by Wikipedia, is an “analytical” method of testing that uses gas chromatography and mass spectrometry to identify different substances within a test sample. It is used in chemical engineering, food, beverage and perfume analysis, astrochemistry, medicine and law enforcement. When it comes to testing essential oils, the test can look for ingredients, like pesticides, perfumes and any other dilution used in the essential oil. “The process is GC-MS has been regarded as a “gold standard” for forensic substance identification because it is used to perform a 100% specific test, which positively identifies the presence of a particular substance.” – Wikipedia. From analyzing substances found on planets to scoping luggage before it goes on an airplane, this method of testing is tried and true. Phytochemia (Laboratoire Phyto Chemia) is an independent Canadian company offering standardization and chemical quality control services for natural products. 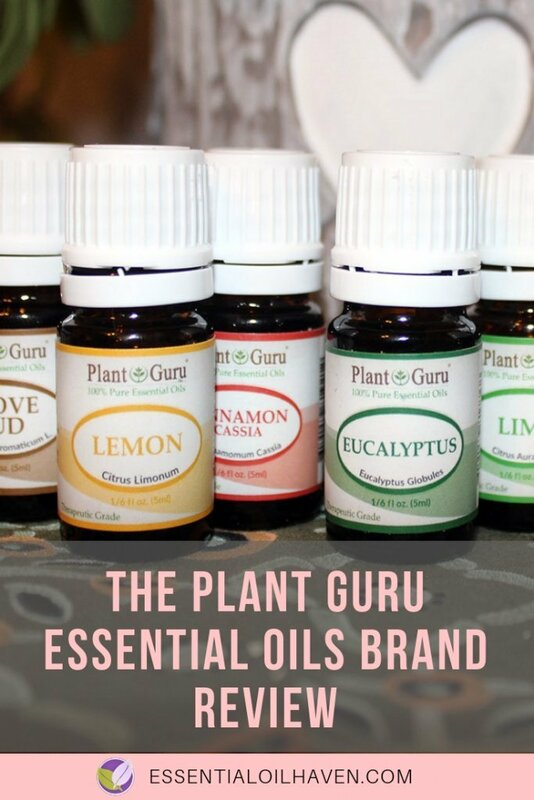 The Plant Guru offers quality essential oils that do not contain chemicals, pesticides or GMO’s. 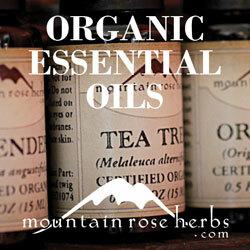 The company claims its essential oils to be 100% pure therapeutic grade. The GC/MS lab results and certification provided by Phytochemia provide a guarantee of a pure essential oil that is not contaminated with harmful chemicals. The Plant Guru is a family-run business. The Plant Guru is a small company located in Plainfield, New Jersey, in the United States. Co-Owned by Marcia D Mangui-Lopez, the family-run business prides itself in offering affordable products. As users of essential oils to support health and wellness, the business was started based on a passion for essential oils and a need for high-quality, affordable essential oils. 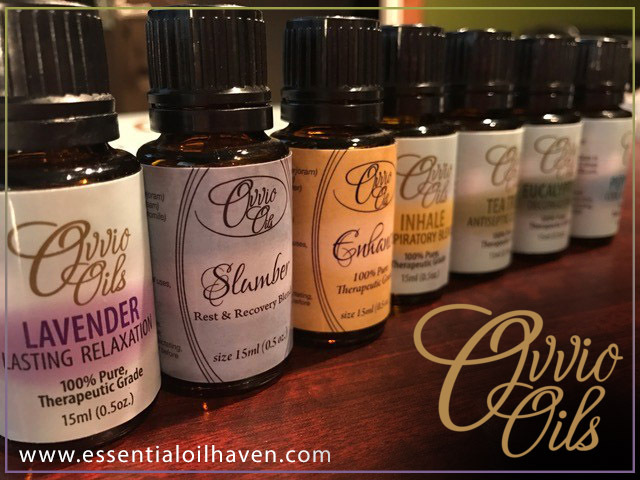 Essential Oils: The Plant Guru offers about 100 different essential oils, from popular essential oils, such as lavender, lemon, cedarwood, patchouli and ylang ylang to uncommon options, such as black pepper, cumin and dill essential oils. You can buy essential oils in variety packs or individually. Four Gurus: The Plant Guru’s version of Young Living’s Thieves. This oil is comprised of clove, cinnamon, lemon, rosemary, eucalyptus. The ingredients in this essential oil blend by Plant Guru are highly antiviral and antibacterial and help aid attacks to the immune system. Shoo Fly Synergy Blend: This essential oil blend by The Plant Guru is comprised of citronella oil, lemongrass oil, rosemary oil, geranium oil and is designed to keep the bugs away. Love Potion: This essential oil blend by The Plant Guru is comprised of ylang ylang, bergamot, geranium, coriander seed, and jasmine. It is designed to stimulate the senses and arouse romantic tendencies. 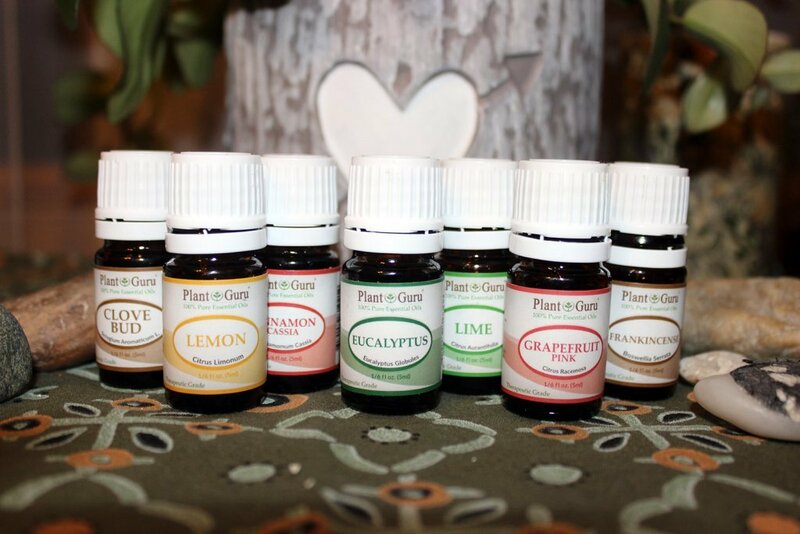 Other essential oil blends offered by The Plant Guru include: Sleep Tight, New Beginning, Meditation, Happy, Head Ease, Deep Muscle, Deep Forest, Citrus Blast, Alive, Breeze, and Stress Relief. Can I Ingest Plant Guru Essential Oils? 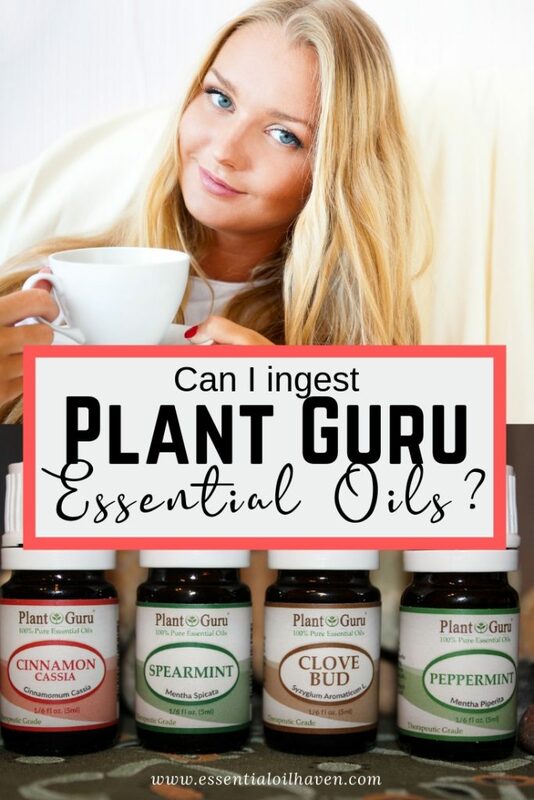 It is not recommended that you use Plant Guru essential oils internally. While it may be tempting to want to ingest essential oils in drinks, food flavorings, or medicinal internal uses, it is a risky practice. Any substance or product that gets ingested in our body is regulated, stamped and approved by the FDA. Since the FDA does not regulate the essential oils industry, no one can safely recommend that one should ingest (any brand of) essential oils. That said, some companies take liberty with this and have found some ways in which it is o.k. to make internal use marketing claims and remain within legislation. You can read more about the whole issue, in my essay titled “Is it Safe to Ingest Essential Oils?“. You can also read the official statement from Plant Guru on their website here for further information. 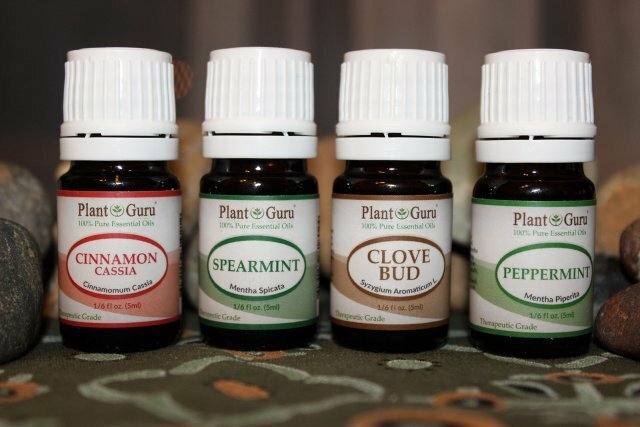 Some Plant Guru Essential Oils that are part of the Top 14 Starter Kit. The first thing I noticed was the simplicity of the packaging. 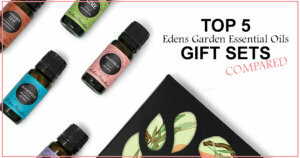 The 14 essential oils come in a simple box with a photo of the oils on the outside and clearly written contact information is provided on the sides of the box. Inside the package the oils sit and are divided by a card with a description of each essential oil and the primary uses of each oil. I love the card because it made diving in to use them easy. If you’re just beginning to get to know the various uses of essential oils, this kit is a nice option. The oils smell amazing. There are no harsh chemical or synthetic perfume smells in any of the bottles. I tried a couple of different recipes that are my own blends. I’ve used a variety of different oils in these recipes, so it was a great way to try them to compare the results. I originally created this blend using Young Living Essential Oils. The combination relaxes, cleanses and uplifts the spirits. It’s a bomb of essential oil love right in your bath. Great for the skin, soul and senses. Directions: Combine the ingredients together, dissolve in bath. Soak and enjoy! The Plant Gurus essential oils for this blend were phenomenal and comparable to Young Living in quality, from my experience. The second recipe I put together with The Plant Gurus essential oils is a face cream. This is one I like to have on hand for morning and night. Directions: Mix ingredients together and store in an air tight container. The Plant Gurus essential oils for this blend were great! I have no complaints. Close in quality to Young Living Essential oils and my skin and hands felt great. The air quality is often quite low in the area where I live. The first thing I did when I opened my box of the Plant Gurus Top 14 Essential Oils kit was diffuse lavender essential oil. It cleaned the air immediately. I felt so grateful. It worked wonders and it smelled like a good quality essential oil should. Since I often use a hair straightener, my hair can get a bit drab between trims, so I added about 5 drops of rosemary essential oil into my shampoo to give my hair a boost. The treatment made my hair feel fuller and more lively. To sum it up I recommend The Plant Gurus essential oils. The company offers a variety of other products and product making gear, such as bottles and recipes for making soap, wholesale supplies etc. They do offer wholesale options if shopping for your store and if you’re in to making your own stuff, they have a nice baseline of products to help you do that. But are they edible in food ? Are they food grade? First time on your website and I’m super excited to see all of your other topics! So I bought the set of plant guru essential oils on Amazon. I do love them but the lavender one just doesn’t smell good to me, am I crazy? Does it actually smell normal? Lol I feel so silly asking but I’ve heard there’s also lavender 40/42, so maybe that’s the one I’m used to? If you can clarify that would be amazing, sorry my wording is awful!